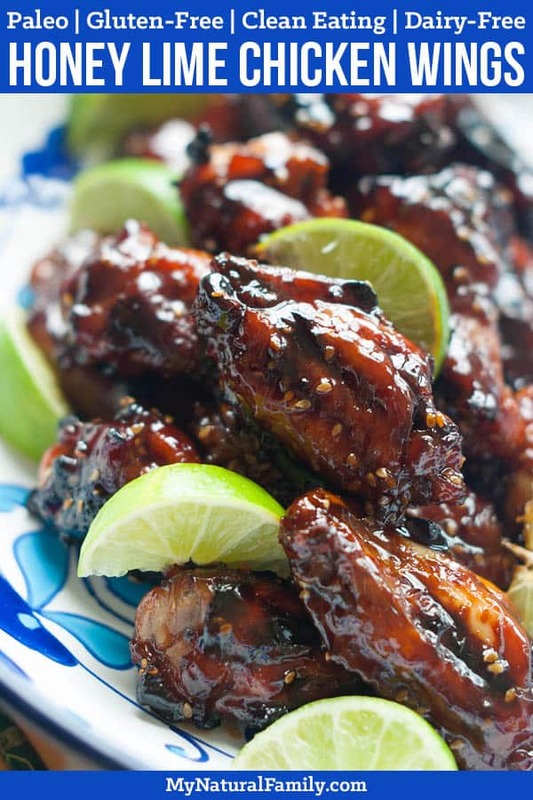 These honey lime sesame Paleo wings will help you enjoy an Asian style food. 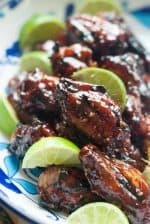 These Paleo wings have an Asian flair and are sticky, saucy, sweet, and tangy. They are so easy to whip up, SO flavorful, and are fall-off-the-bone tender. 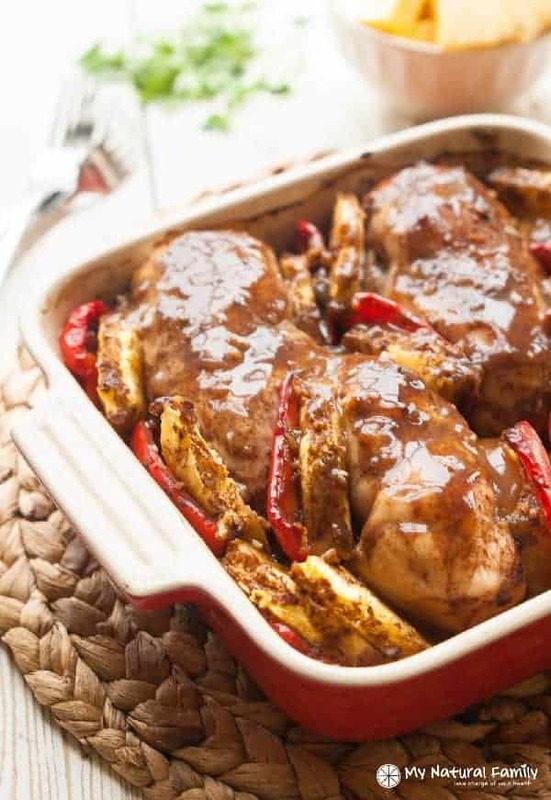 Pair this chicken with cauliflower rice and you have satisfying Paleo meal. One of the things I like about this recipe is that it’s sweet, not spicy. So, you don’t have to dip it in the blue cheese dip, that doesn’t fit into a lot of diets. Plus, everything you need is in one dish and you don’t need a dip at all. I love how the sauce gets all nice and caramelized. If you don’t like coconut aminos or don’t have them, a clean balsamic vinegar will be a pretty darn good substitute. You may just want to use a little less honey, which is actually a bonus for many people. I also love how there isn’t much prep time and most of the time is spent with the wings baking in the oven, so you can choose what you want to do with your “free” time while your dinner or appetizer cooks. How would you eat these Paleo wings? As an appetizer, on game day, or as a main dish with some sides? Is there another recipe you would like us to try? Leave any suggestions in the comments below and we see what we can come up with! 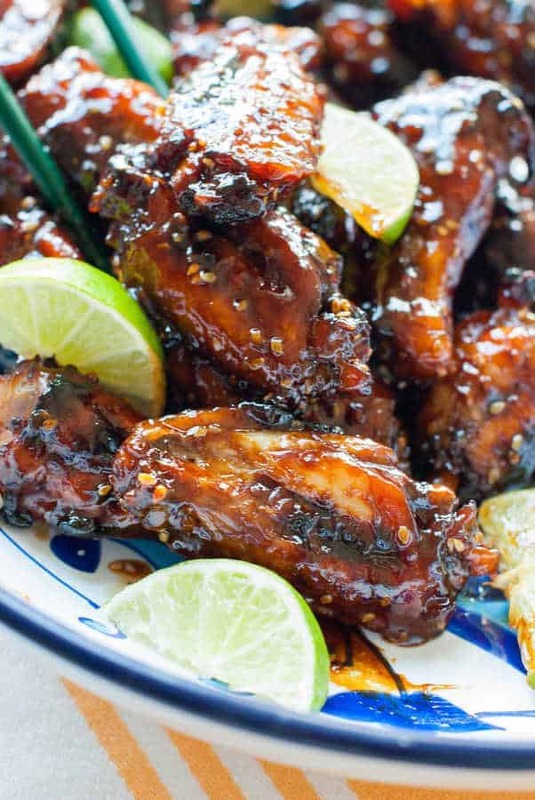 These wings have an Asian flair and are sticky, saucy, sweet, and tangy. They are so easy to whip up, SO flavorful, and are fall off the bone tender. Combine all ingredients except for wings in a small sauce pan. Bring to a boil and let simmer for 5 minutes, or until thick and glossy. 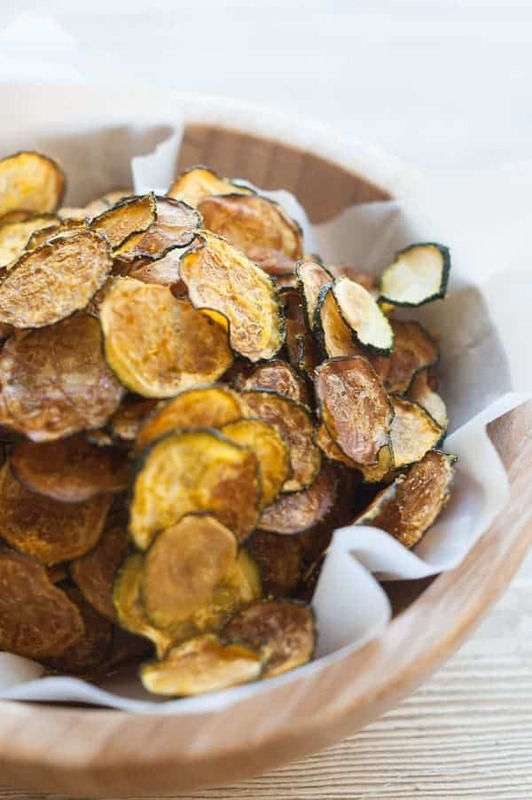 Do not let cook for too long or mixture will caramelize and become hard. While the sauce is thickening, pat the chicken dry with paper towels. Lightly oil a 9×13 baking dish. Lay the wings in the dish in a single layer. Make sure they aren’t touching. Pour the sauce over the wings, using a basting brush to spread the sauce over all surfaces. Bake the wings in the preheated oven for 1 hour on the top rack, turning the wings over after 40 minutes have passed. Remove from oven. The sauce will thicken as the wings start to cool down. 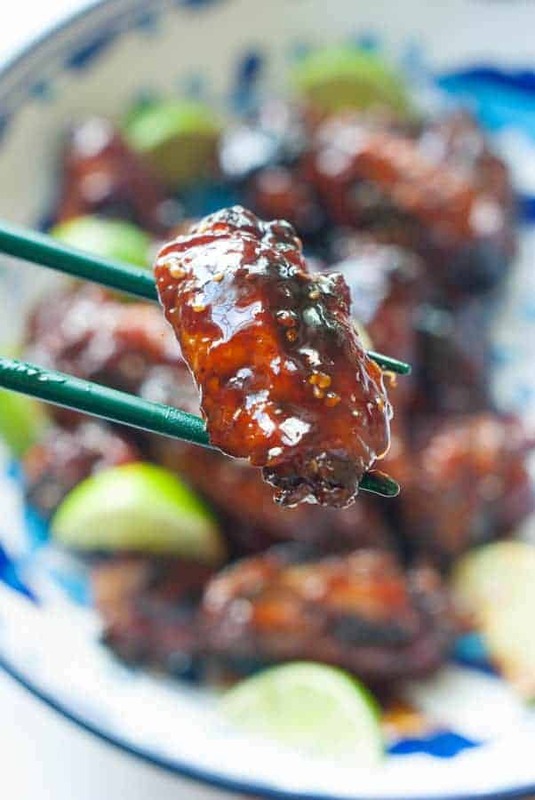 Turn wings to thoroughly coat in sauce before serving. Is there anything i can use in place of red chili flakes? A little cayenne pepper would work, unless you’re not into spice and then the closest thing I can think of is paprika. What a great idea! Thanks for sharing; I’m sure it will help others. This recipe sounds delicious! Instead of wings, I would like to use drumsticks, do you know what the time difference would be in the oven? I’m not sure. I’m not the past at keeping track of cooking times. Maybe 10-15 minutes longer. I’m not sure. But, if you figure it out, I would love it if you come back here and comment and help others. These sound delicious. I can’t wait to try them. Thanks for the recipe! Your welcome, let us know what you think!